We’re so excited to have recently partnered with three accomplished local Hawaiian muralists to bridge the art and science worlds within the lab. 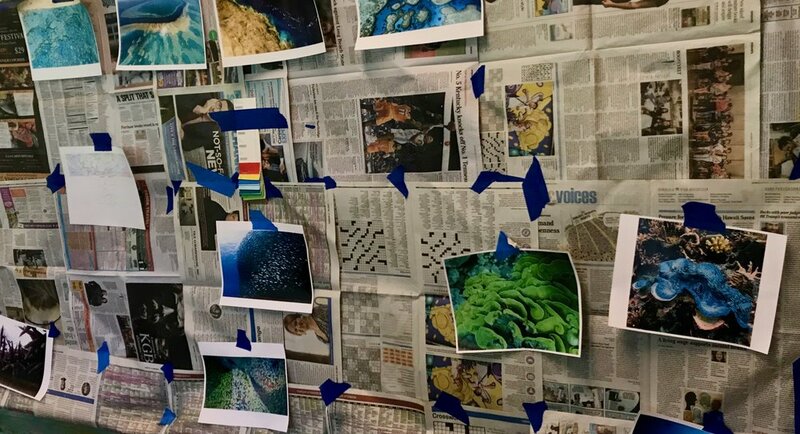 Nicole Makaahinaalohilohi Jack, Kupono Duncan, and Cory Kamehanaokala Taum are creating an abstract, coral reef-inspired mural that will no doubt inspire creativity in all who see it. It will be strongly place-based, integrating the Kane’ohe Bay coastline, Moku o Lo’e (Coconut Island), and the patch reefs of the bay. 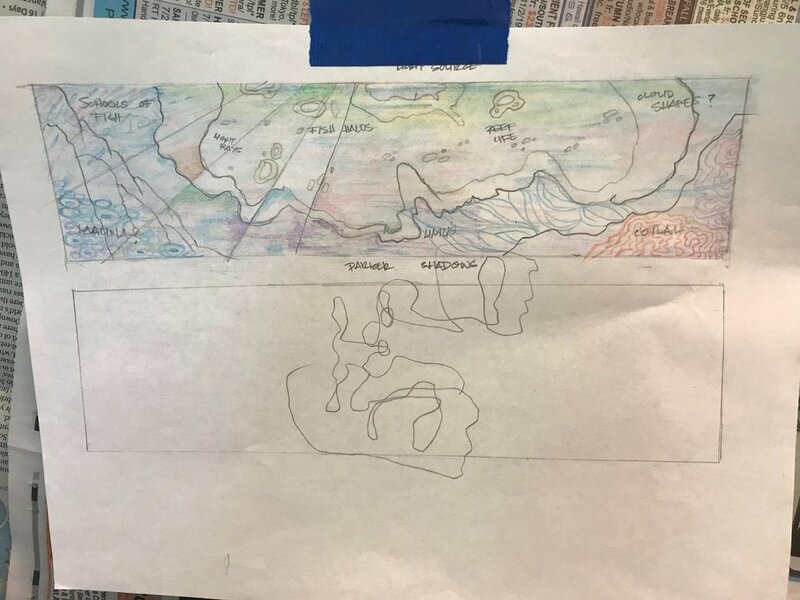 It draws inspiration from aspects of the research going on in the lab, from organismal to landscape scales. We’ll be posting photos as the work progresses, but in the mean time we want to express or most sincere appreciation to this dynamic trio for their willingness to donate their time and for the opportunity to collaborate! New summer 2019 course open to all early-career researchers: "Applying Innovative Technologies in Marine Science"